The Witcher 3 release date hasn't been officially announced yet. The developers have told that the game will hit the stores sometime in 2014, but today it seems that we have got a more accurate date. Amazon has listed The Witcher 3: Wild Hunt for PC and revealed, when the game will be out. The popular online retailer posted the standard edition of The Witcher 3 on its site on the 12th of October. Amazon also revealed a price for the game - $49.99. It is a rather pleasant cost, because most of the upcoming AAA games are more expensive. Thus, Battlefield 4 and Call of Duty: Ghosts prices are both $10 higher. Also Amazon has published The Witcher 3 release date that is scheduled for the 30th of September, 2014 according to the retailer. We would like to remind you that only the PC version of the game has appeared on the site, but we can assume that The Witcher 3 for Xbox One and PS4 will be also released on this date. The information about the versions for the current generation of consoles remains unknown yet. The 30th of September falls on Tuesday, and on this day of the week the games are usually released in North America, so this The Witcher 3 release date seems to be correct. 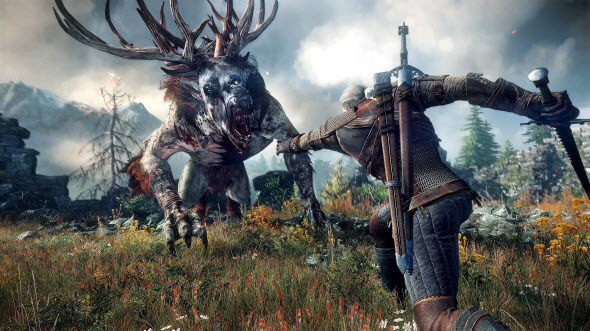 Are you waiting for The Witcher 3: Wild Hunt game? Let us know in the comments below. Origin Player Appreciation Sale - What’s up?